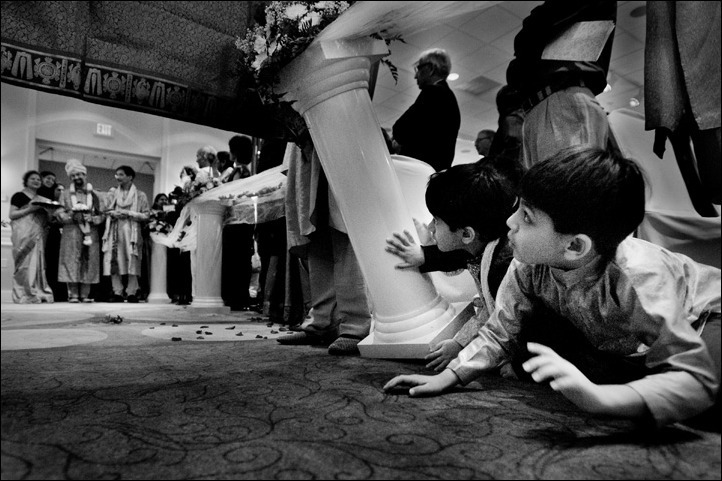 When having your reception, the last thing you want is twenty little ones running around screaming, and completely bored, desperately seeking their parents attention. If you still want your friends and family to attend, and not have to worry about their children, there are a number of ways you can keep them occupied. One great idea is to hire a babysitter to take care of the children for the day, and night. Your wedding might start around five, so be prepared to pay your babysitter up until the last child leaves. Make sure that the sitter is reputable, and able to handle multiple children at a time. If hiring a babysitter is not an option, consider having a separate room for the children to go to, where parents can intermittently check on them throughout the night. If you outfit the room with enough stuff, this will keep them busy all night long. While teenagers might not be running around screaming, they can get bored, and while you don’t want to see them on their cell phones the whole night, you might want to set up a room for them. Think about a cool lounge with tables and chairs, with some snacks and sodas, and plenty of magazines, maybe even a computer. For the little ones, you might consider a room to themselves as well, that they can have arts and crafts in, as well as sports equipment, or even a coloring area, that you can clean up easily. Provide some sidewalk chalk, and some outdoor equipment if you have the space available and let the children loose outside, as long as an adult is present! This will definitely tire your little guests out, and your friends and family will have a great night! I am always excited to see the colors Pantone selects as the colors of the season – this year I was doubly excited when I saw the palette for Fall 2013. So many gorgeous colors! In the coming weeks we will explore each of these hues, showing you how they can be incorporated into a wedding style that is all your own. This week I wanted to show you how you could use two of those colors together – Samba and Koi. They are perfect for a Posh-yet-Rustic fall inspired wedding, evoking thoughts of apples and pumpkins yet resisting a “themey” feeling. a person with artistic or intellectual tendencies, who lives and acts with no regard for conventional rules of behavior. If that is so, then there is a definite bohemian vibe starting to emerge in weddings. Even those who have the money to create over-the-top blingy traditional events are instead choosing celebrations that seem more frugal, relaxed, and artistically styled. (Now…whether they are actually more frugal is another matter…) There is nothing more bohemian than the use of garlands in decor. Whether they are garlands of flowers woven into the hair of brides and bridesmaids, draping the chair of the happy couple at the reception, or adorning the getaway car (remember those?) garlands are popping up everywhere. Here are a few of our favorite ways to incorporate these BoHo beauties into your celebration. Now that our wedding is over, I can finally post my designs for our wedding stationery! I’m really excited to share these. My dear friend Lauren Broeils has a letterpress, and she so generously helped me print my save the dates and invitations. I had a lot of fun with the type for these, and drew inspiration from those old Sanborn insurance maps. Hope y’all like them! Putting this Great Gatsby inspired photo shoot together with Theo Milo Photography was so much fun! The elegant charm of The City Club at de Rosset, located in downtown Wilmington, served as the perfect setting to bring our vision to life. The infamous Gatsby art deco patterns were incorporated throughout our paper & tablescape design, along with the classic pairing of black and gold linens and detailing. We incorporated the elegance of Gatsby through our cascading orchid centerpiece & bouquet design, and popped some bubbly for the champagne bar. Check out the results of this lavish affaire! Special thanks to all of the vendors who helped us create this styled shoot! One thing that separates the good weddings from the great weddings is the details. When you plan your wedding, you’ll naturally put most of your thought and time into the big things, but save some time for the little things. These additions can help really impress your guests and give your whole wedding a great flow. So what are these all-important details? Well, they’re the pieces that you don’t normally think about. When you go to a wedding, chances are there will be certain parts untouched by the décor. 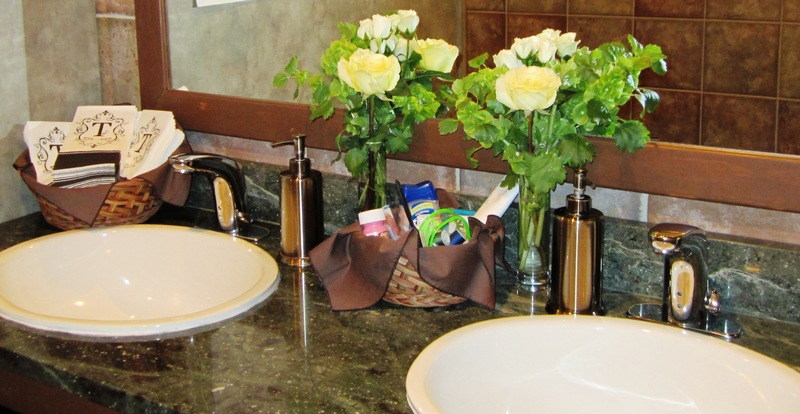 The bar, the bathrooms, and even the front door are all going to be used by your guests, but are often ignored when it comes to décor. You’ve worked to get the perfect theme décor for your venue, so why let it all fall apart with a boring guest book? Having a great guest book can also be a way to remember the time and attention you gave to your wedding planning. If you are planning a vintage wedding, there are many creative ways to apply this theme to your guest book. From typewriters to a vintage tea set, have your guests leave you notes with or on pieces that add to your décor. For a sleek black-tie wedding, you don’t need to leave your guests with a blank book. Bottles of wine or champagne can be signed with silver pens for a fabulous centerpiece and wonderful memento. 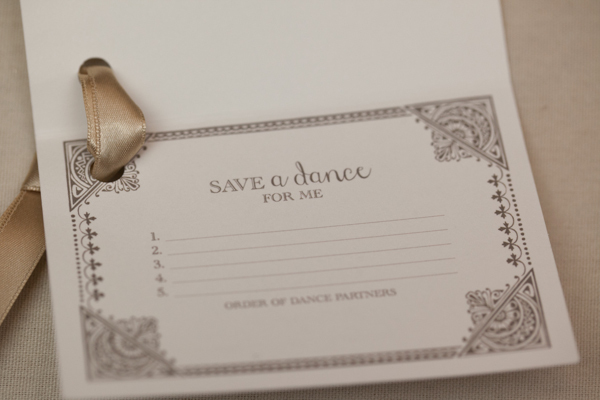 Dancing is a big part of any wedding, but vintage style weddings are able to use a great retro trend – the dance card. 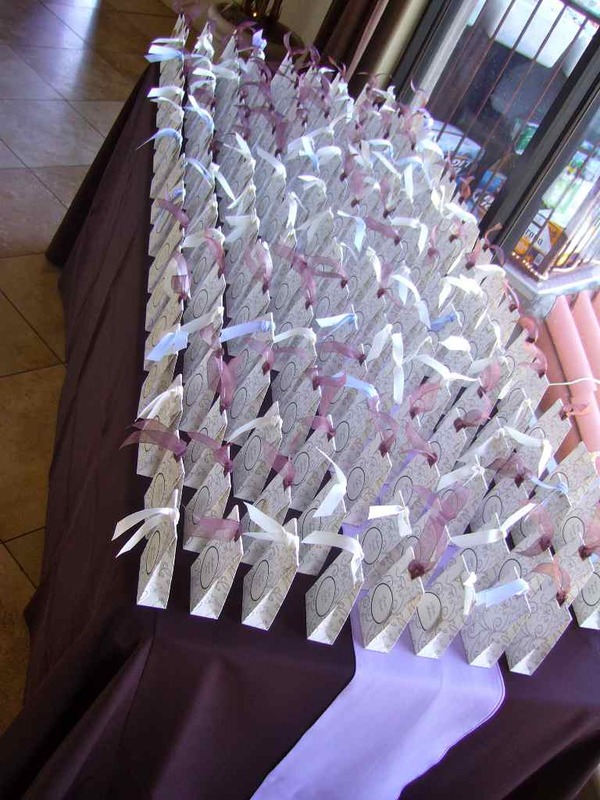 This is a fun way to give your guests a special vintage memento, and really bring your theme out in a fabulous way. Dance cards were popular from the 18th to early 20th centuries and were a way for women at formal dances to record who they had danced with, or intended to dance with. They could also serve as a program for the evening, with space for the names of songs and dances to be written in. 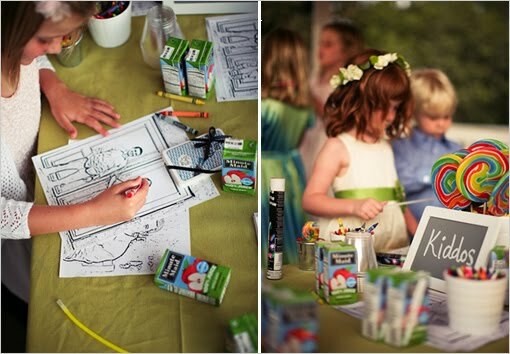 For a vintage wedding, you can give all of your female guests beautiful dance cards, and give all your male guests pens or pencils to write on them. At each table, include some instructions about how to use the dance card.